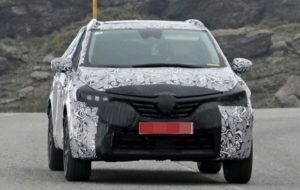 Renault is currently working on the new generation Koleos, which is planned to become the automaker’s new flagship SUV. 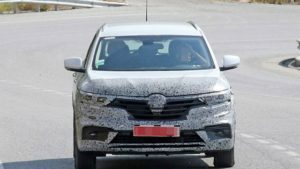 However, the all-new model will reportedly get a new name, but there is no information about the possible name of the successor, so we will continue to call it the 2017 Renault Koleos. According to rumors, the new SUV will be considerably larger for the current model, and moreover it will get some new off-road characteristics. 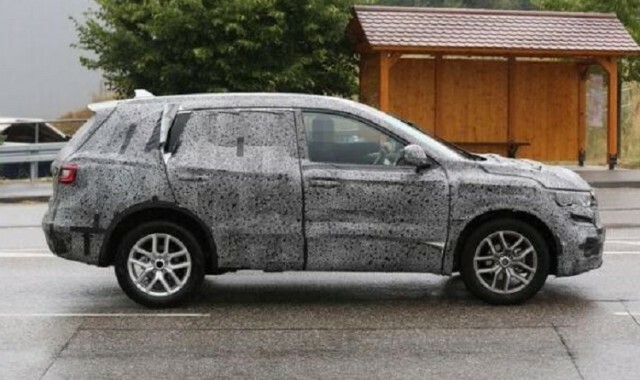 Here we have a completely camouflaged prototype of the 2017 Renault Koleos, so it is pretty difficult to see all new details. What we know for sure is that the new generation SUV rides on the Renault-Nissan joint CMF-CD platform. Compared to the current model that is 4.5 meters long, the new version is speculated to reach 5 meters, which is significant grow that will automatically provide plenty of interior space. 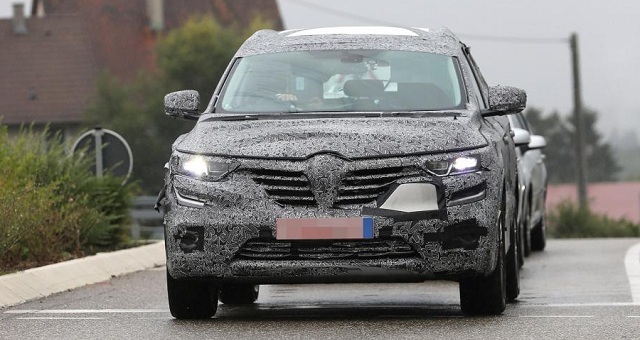 As for the exterior redesign, the 2017 Koleos seems to have plenty of similar details that we already saw on manufacturer’s new Renault Talisman. This especially refers to the front end, which gets similar headlights and grille treatment. In addition, the restyled hood now looks sharper, while the bodylines create dynamic and smooth design. This new seven-seat layout inside is already a big move for Renault, so we are absolutely sure that they won’t miss the opportunity to slip everything they have, starting from the latest R-Link infotainment system, newest aids and premium materials. The 2017 Renault Koleos successor could offer some pretty interesting engine options, which are currently working with Nissan’s X-Trail crossover. This includes a gasoline 2.0-liter inline-four unit with 143 hp and one more gasoline 2.5-liter engine that will deliver 170 horses. The all-new SUV will get a 1.6-liter diesel unit, which currently delivers 130 horsepower. All the options will be matted to include a six-speed manual and a six-speed EDC automatic gearbox, which will send the power to the standard FWD or optional AWD. The new generation Koleos will be larger and better, but this also means higher price. Currently, the SUV costs around $21,000, but the new model won’t start below $25,000. According to the latest information, the all-new vehicle and Koleos’ successor will be introduced at 2016 Geneva auto show.